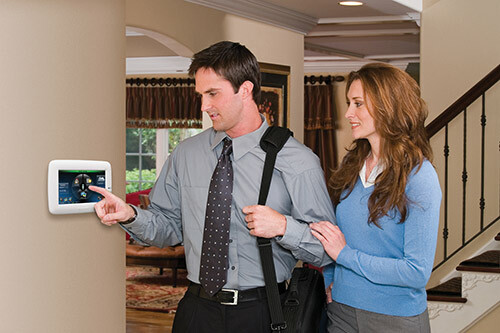 Our Alarm Systems protect your whole home and family with flexibility designed to meet any home environment. Watching the news makes you realize how important it is to have a good security system for your home. With break ins becoming a more common occurrence, you need a way of protecting your family and your valuable possessions. All Time Detection offers many security solutions that will protect your loved ones, possessions and your home. We offer many different solutions that will suit any budget and household size. We only work with brands that are well established on the market and have a track record of providing real support. Here are some of the products and services that we can offer you: burglar alarm systems that monitor and protection your home for unauthorized entries. Our CCTV cameras allow you to access video footage from your smart phone, tablet or desktop meaning you can keep an eye on your home from anywhere in the world. They are also a great deterrent for criminals. The alarms we offer are have fully adjustable, versatile arming modes to suit your lifestyle and your home needs. We also monitor all your security systems 24 hours, 7 days a week, 365 days a year, and dispatch the appropriate emergency service depending on the type of emergency.